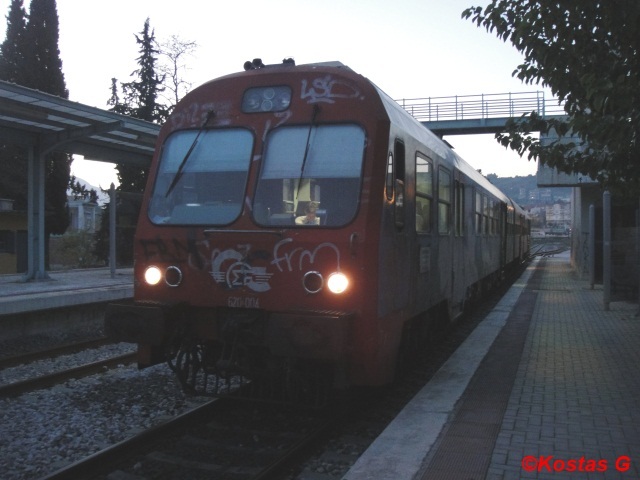 MAN DMU, on local train to Volos, at Larisa station. MAN DMU, on local train, at Velestino station. 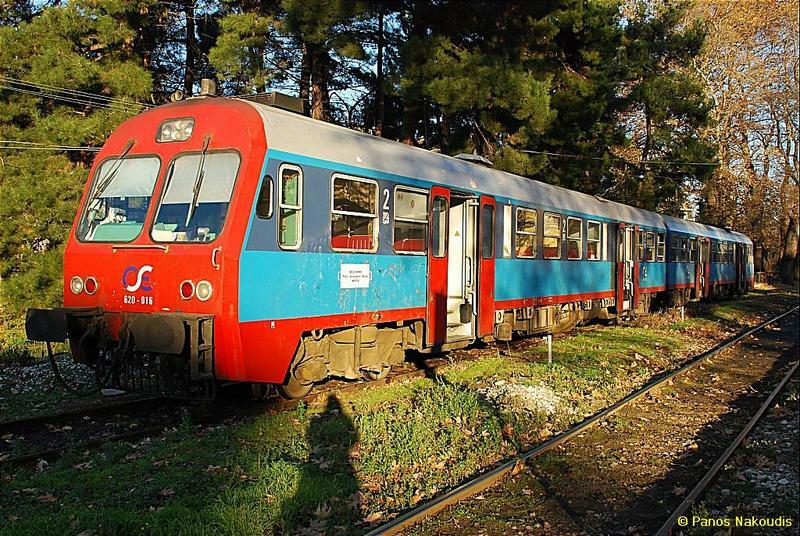 MAN DMU, parked at Larisa depot. 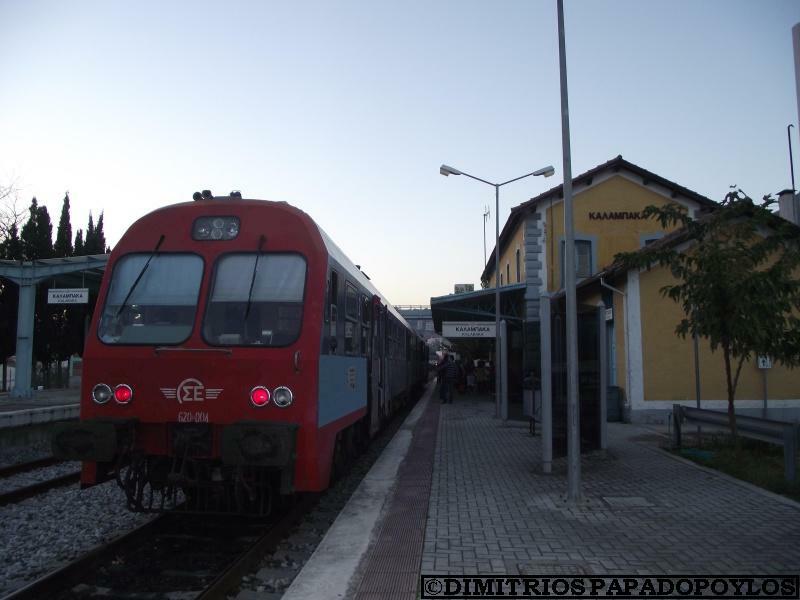 MAN DMU, on train from Volos, arriving at Larisa station. 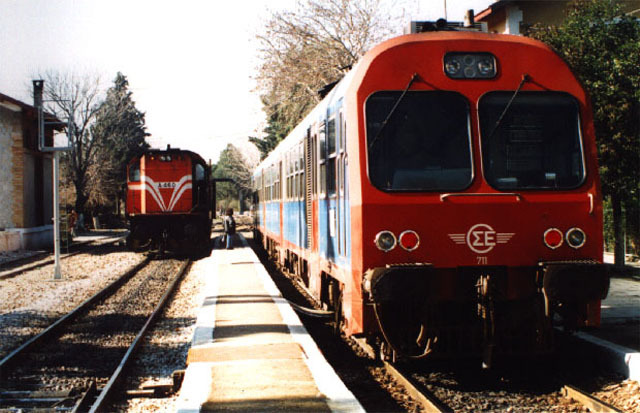 MAN DMU, parked at Edessa station. 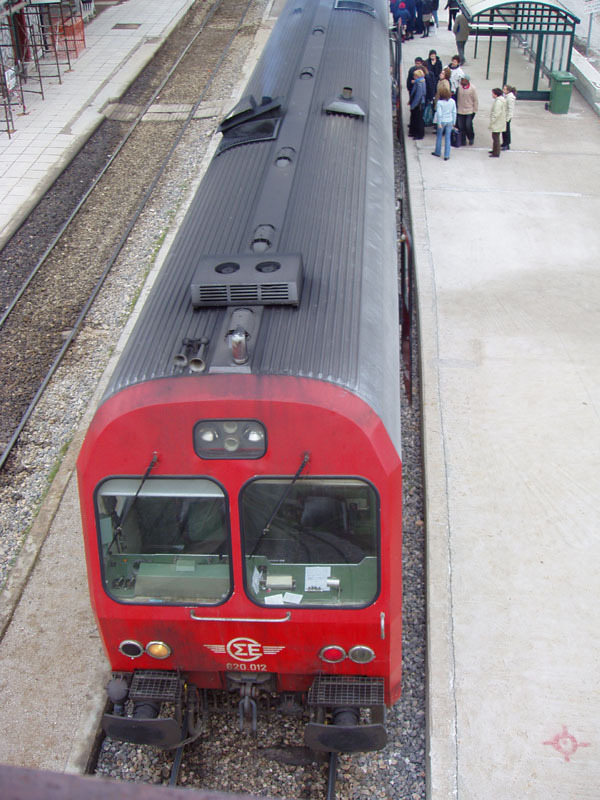 An OSE DMU of the old class 700, renumbered to new class 620, at Ag.Stefanos between Athens and Inoi in February 2004. 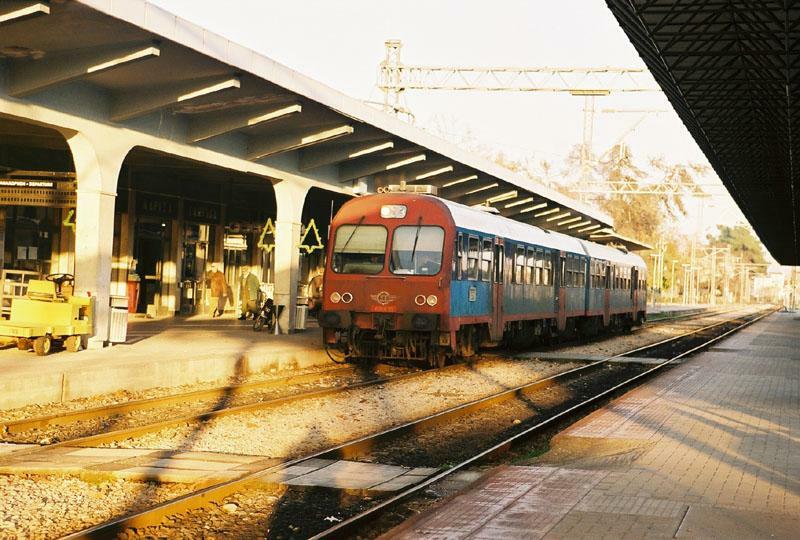 An OSE DMU of class 700 near Ag.Stefanos between Athens and Inoi in February 2004. 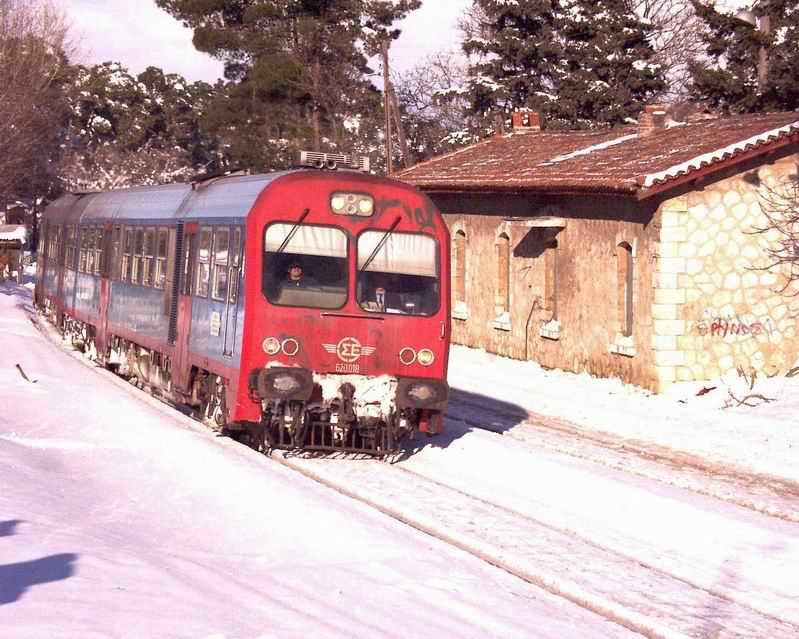 OSE 620 022 MAN built DMU, at Larisa with train 1593 from Thessaloniki, 27 December 2003. 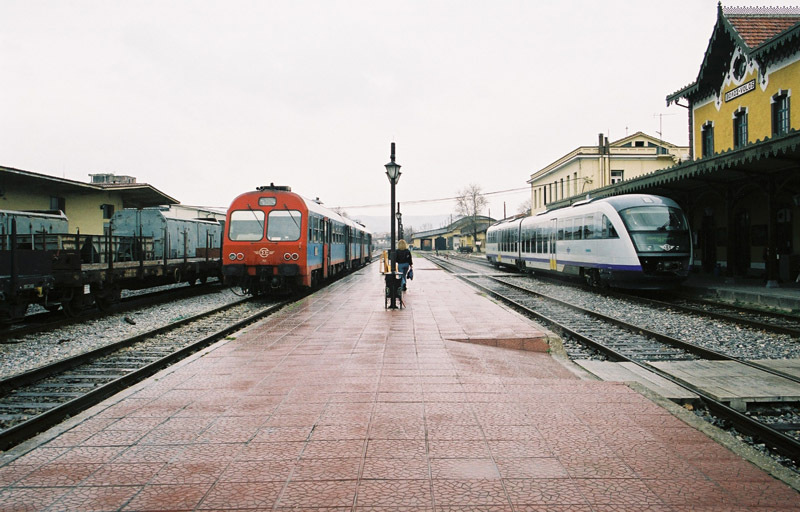 OSE 701 MAN built DMU with a Larisa-Volos local and a Siemens built Desiro with train 510 from Athens, inside Volos station, Central Greece, 12 March 2004. 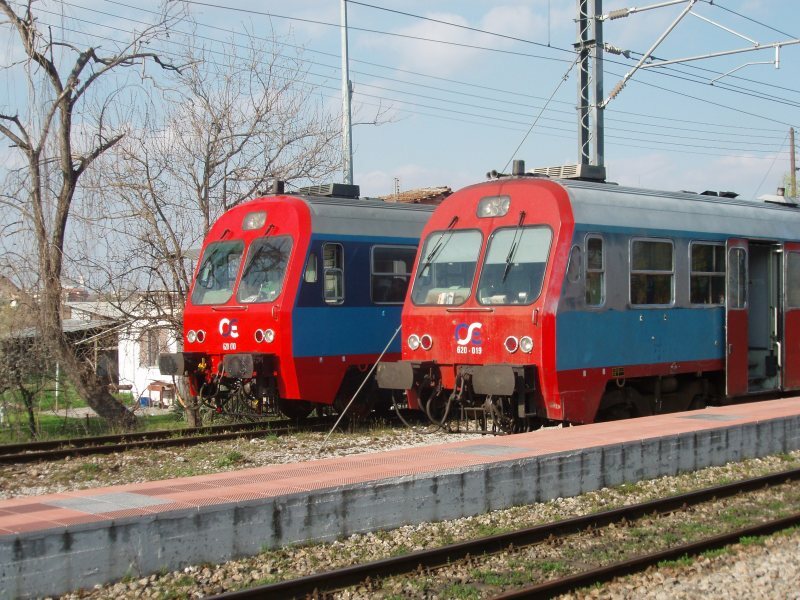 OSE MAN built DMUs with Larisa-Volos local trains meet at Velestino station, Central Greece, 12 March 2004. 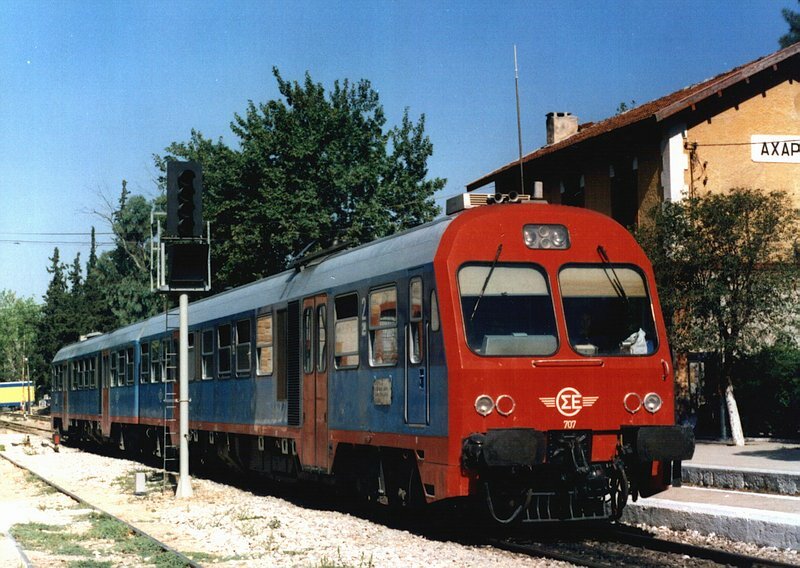 OSE 702 MAN built DMU approaching Velestino station with a Larisa bound local from Volos, 08 May 2004. 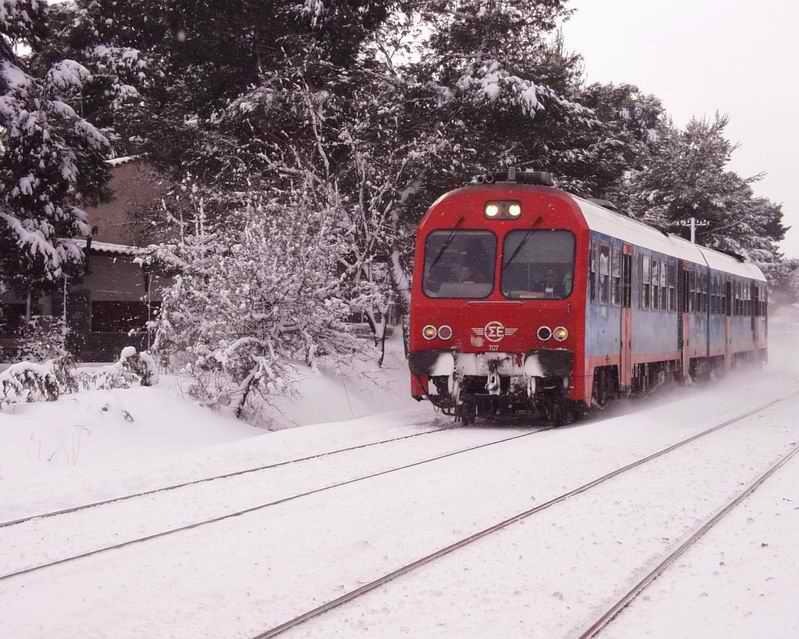 Kalampaka station Thessaly Greece 6/1/2011. 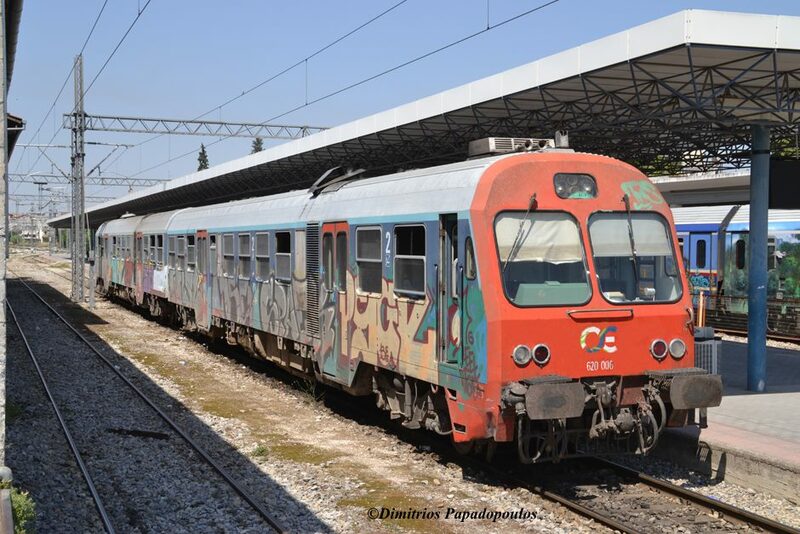 MAN dmu 620012 on local train to Volos. 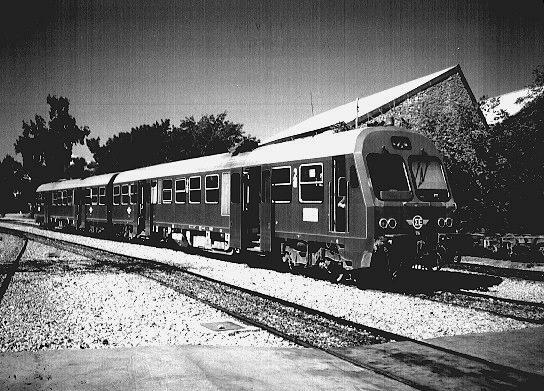 MAN-Duewag DMU of class 620(old 700) at Larissa depot. 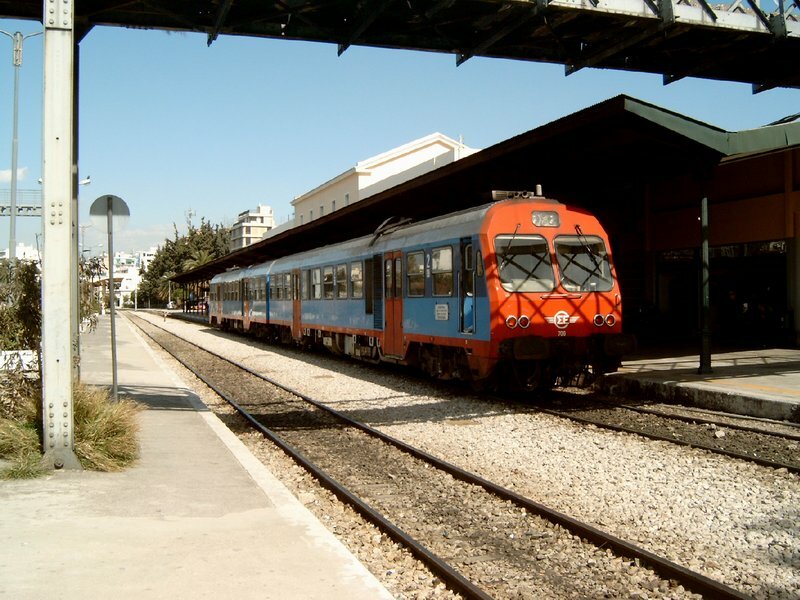 Larissa station THessaly Greece 2/10/10. 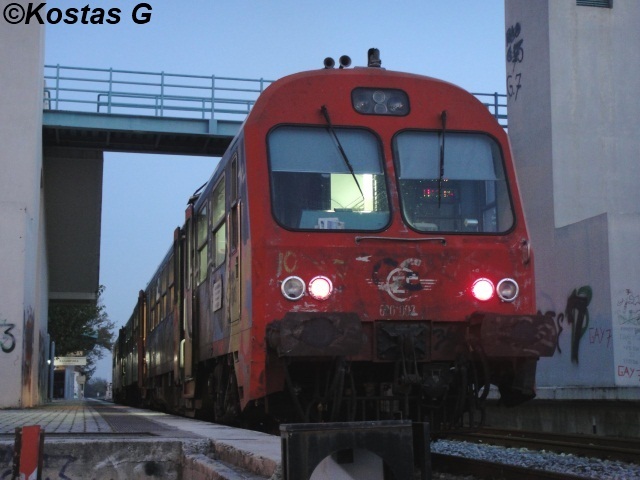 Hellenic Railways Organization (OSE) MAN-Duewag 620 006 on regional to Volos. 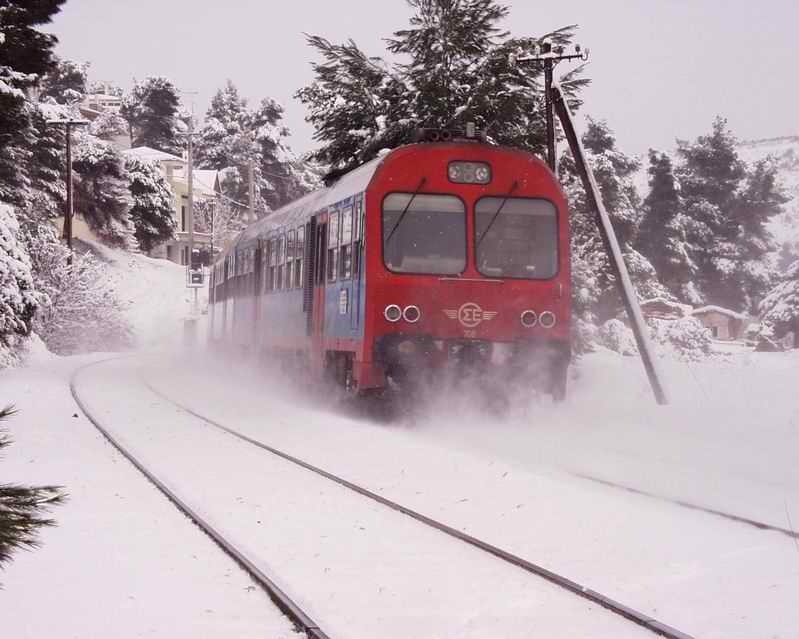 Larissa station Thesally Greece 6/7/2014 Image copyright: Dimitrios Papadopoulos. 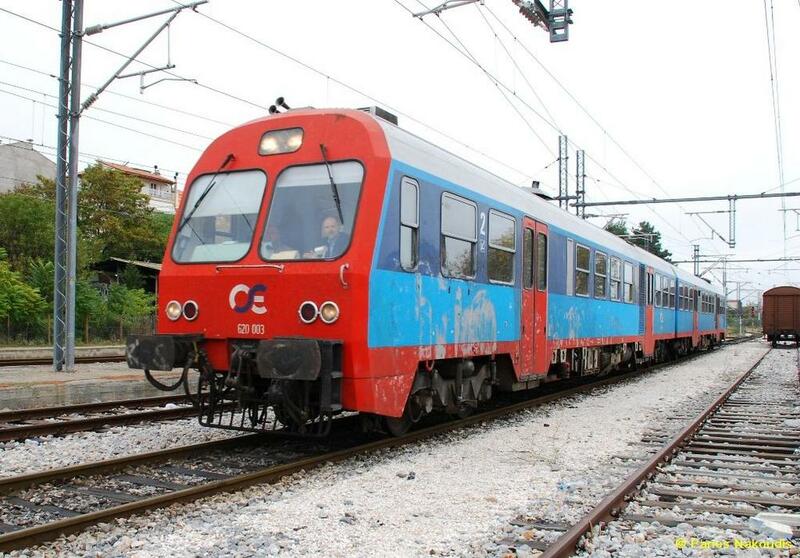 MAN DMU class 620 is ready to depart on local service to Volos city. 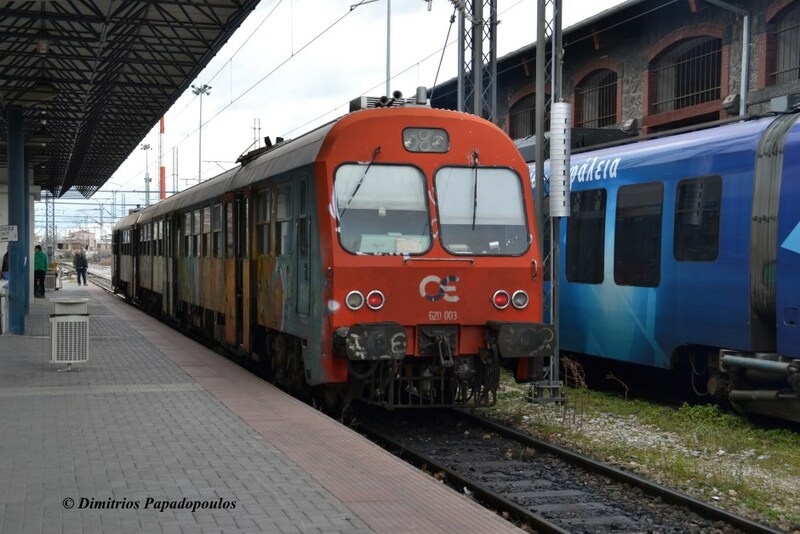 MAN-2 Dmu class 620 on afternoon local service from Larisa is just arriving at Kalampaka. 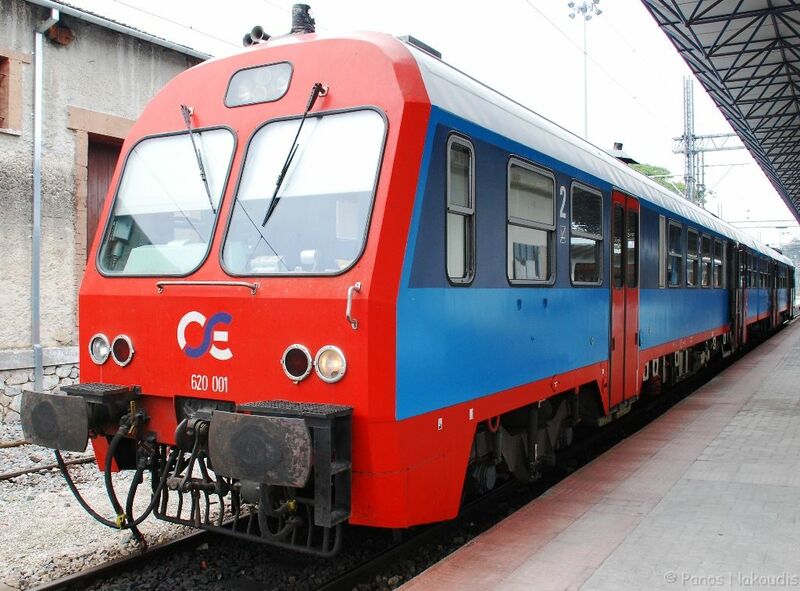 OSE 620 012 DMU in Armenio station. 01.07.2004. 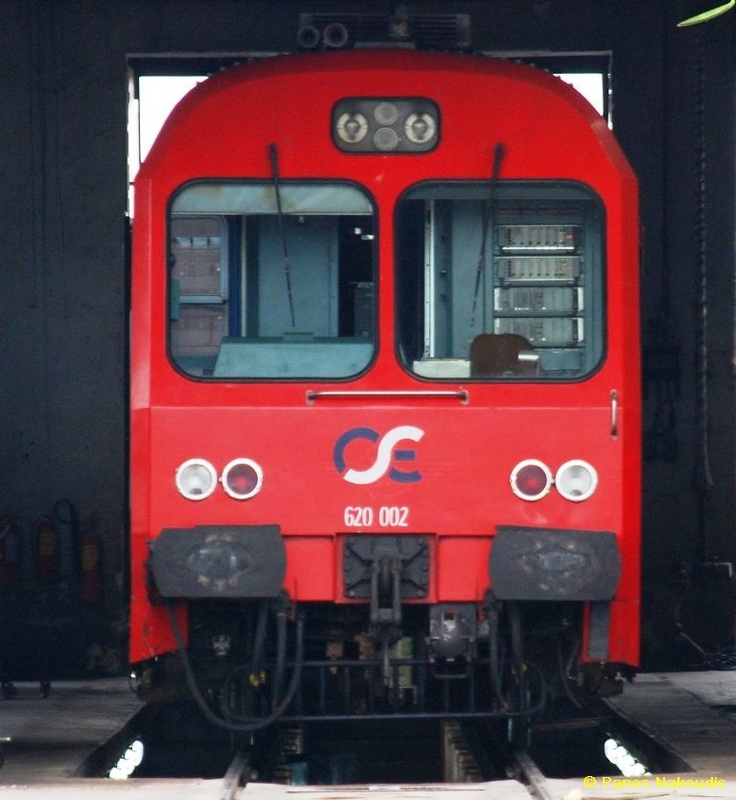 OSE MAN built DMU ready for departing at Athens station on 29.02.2004. 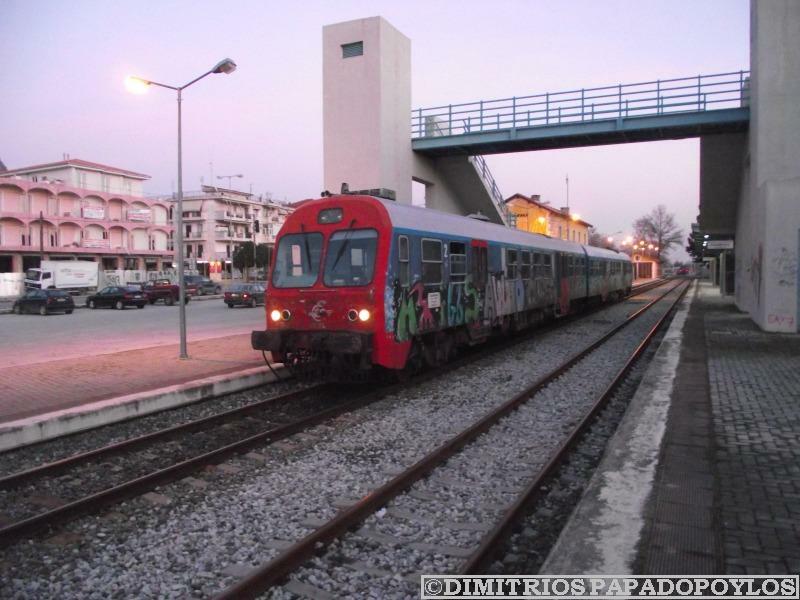 OSE 620 012 MAN DMU in Armenio station as train 1581 from Volos to Larissa. 01.07.2004. Diesel trainset with motor car 620 013 leading takes a short break while waiting for a train in the other direction. 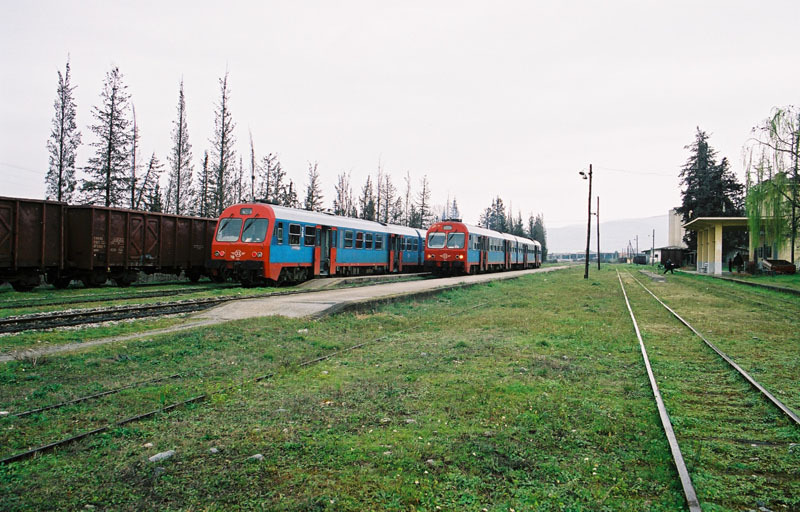 Diesel trainset with motor car 620 019 is seen in Florina, the end of the line. 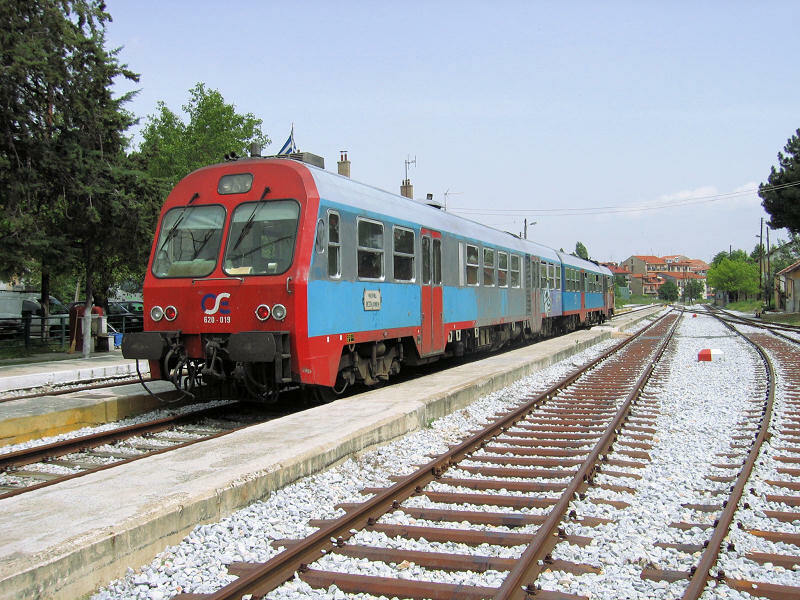 Greek trains used to continue to Bitola which is now in FYROM, the "other" Macedonia. 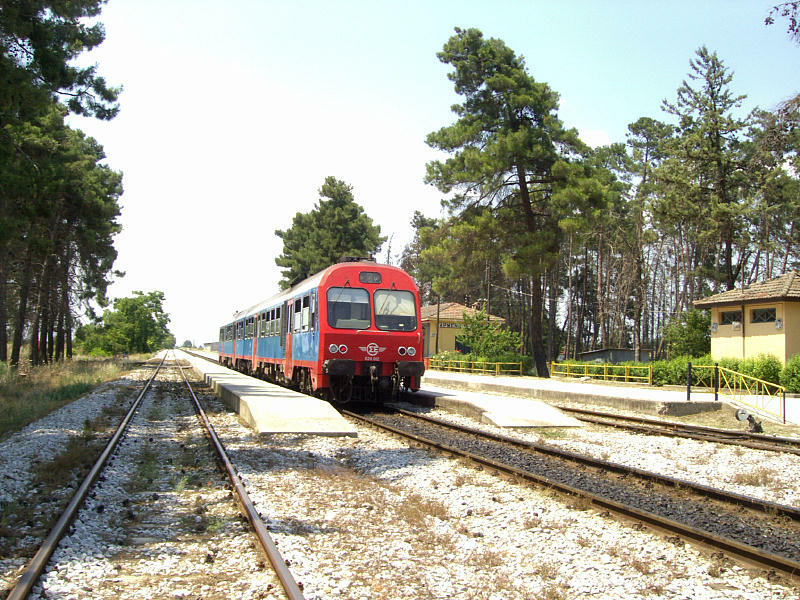 The tracks in northwestern Greece (from Edessa to the west) have recently all been replaced. 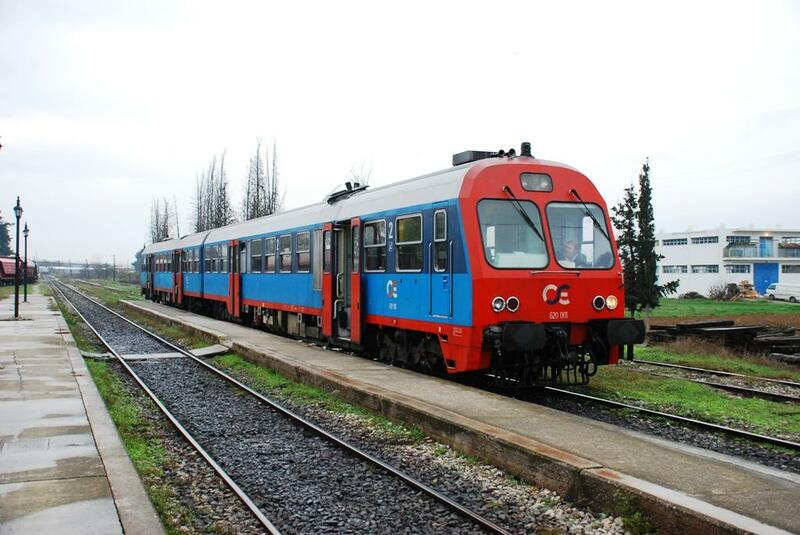 Diesel trainset with motor car 620 025 leading is stabled in Edessa. 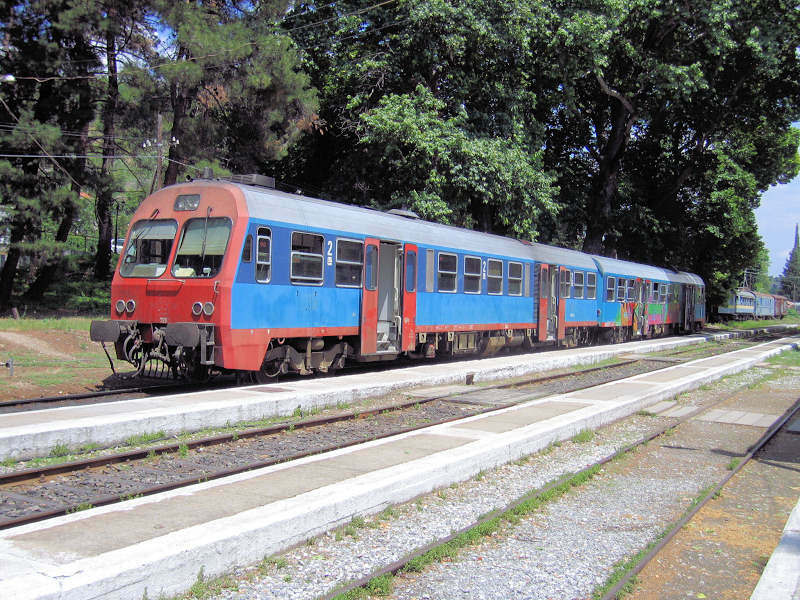 Diesel trainset 620 007 is used for the Alexandroupolis-Dikaia-Svilengrad(BG) service, although it is advertised nowhere that it actually crosses the Bulgarian border. 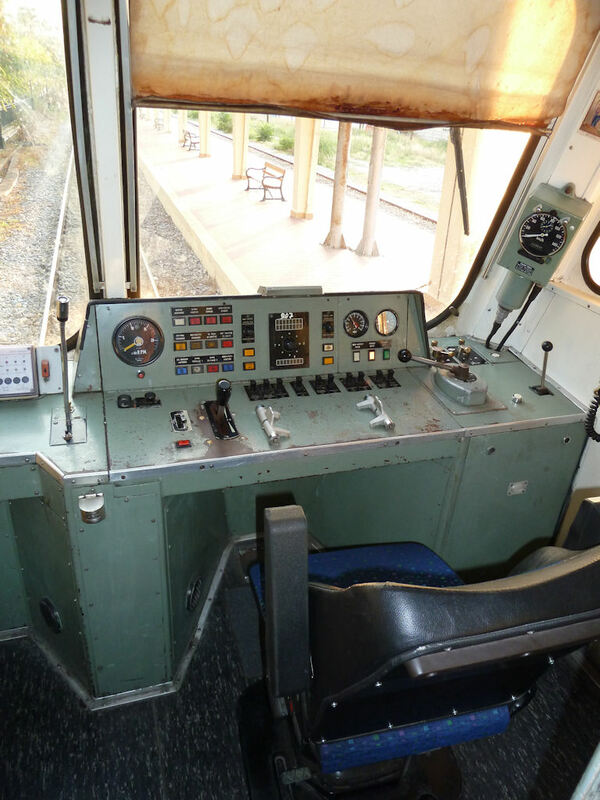 Cabin of diesel trainset 620 007. 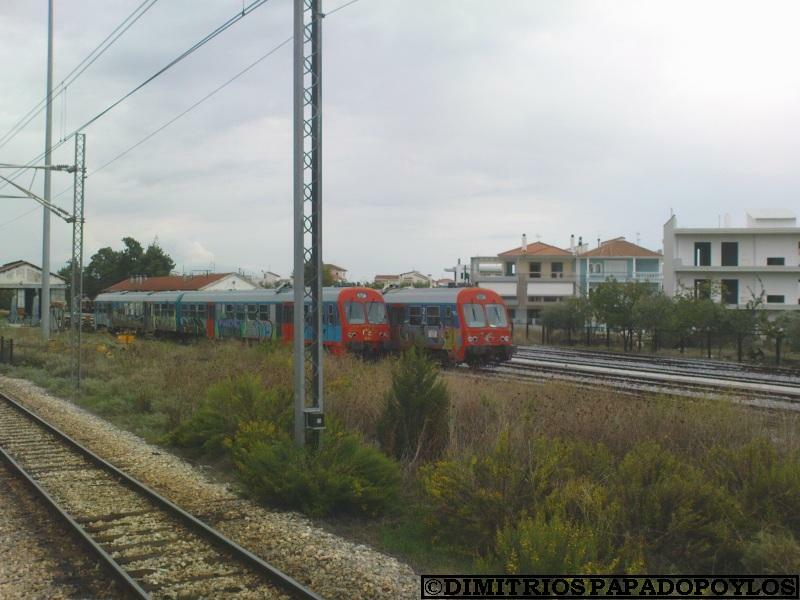 Two coupled trainsets class 701 leave Athinai Larissa station on their way to Chalkis. 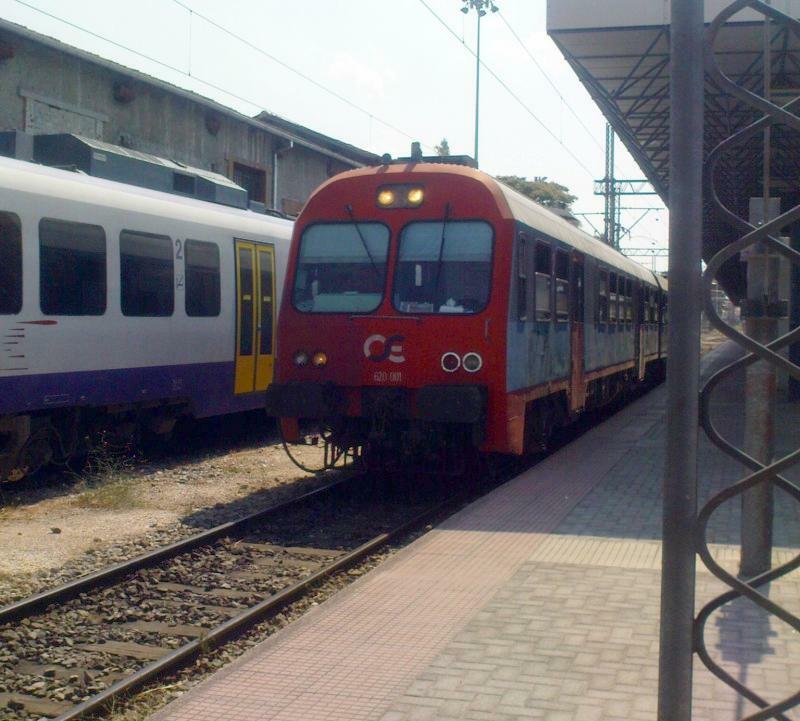 OSE DMU 707 as local train in Aharnai station. 22.07.1997. 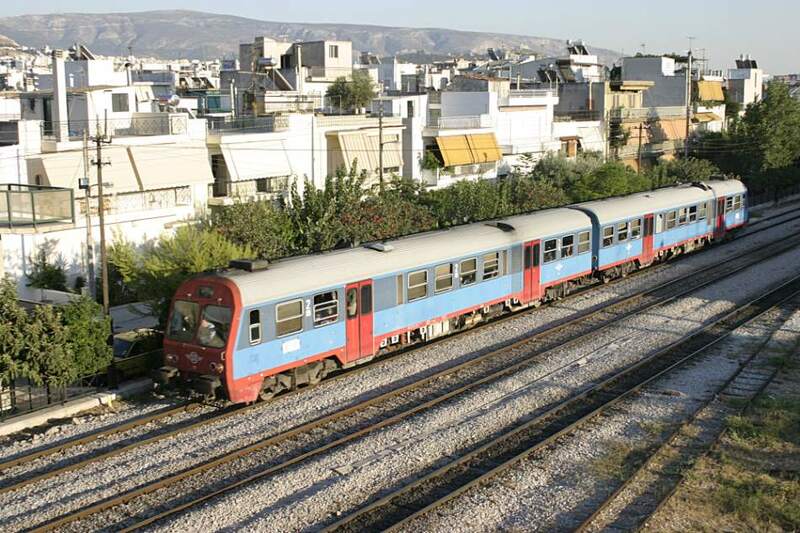 Two trainsets of class 701, with motor car 710 leading, have just arrived in Chalkis. 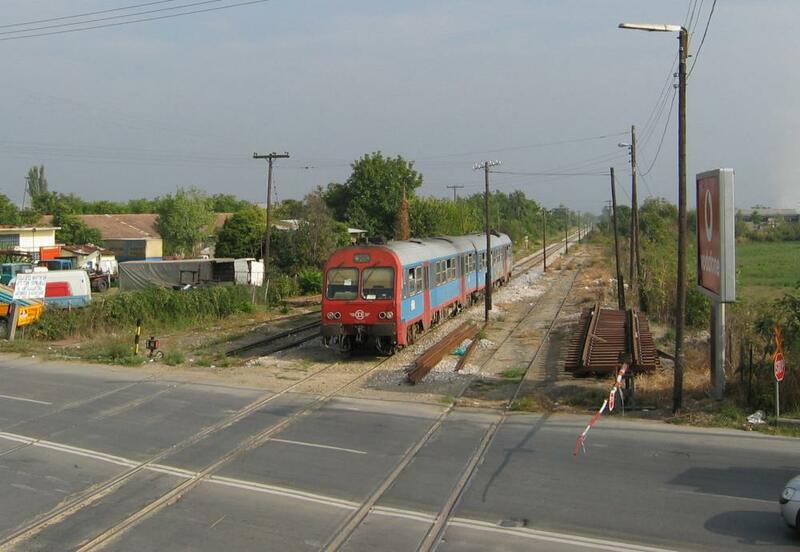 This is the terminal station of a branch from the Athinai-Thessaloniki line. DMU 713-714 at Ag. Ioannis Rendis shed (Athens) on September 20th, 1994. 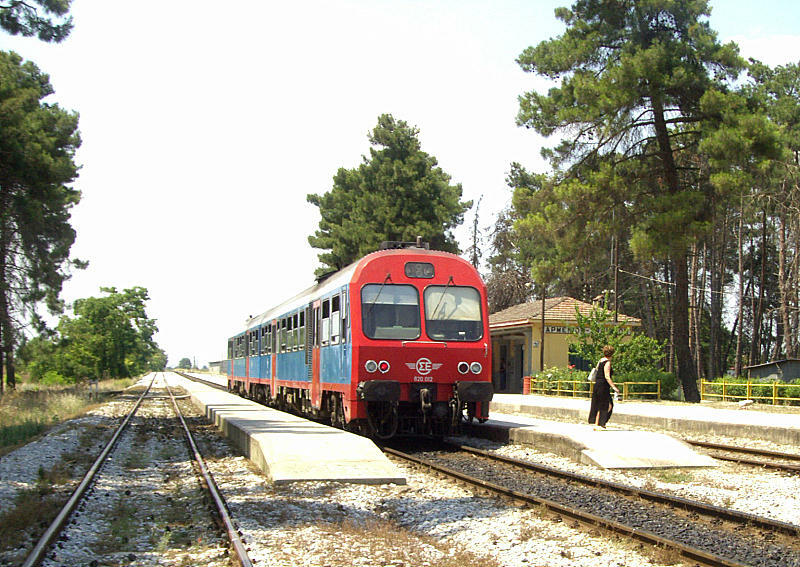 This is a modern train serving local lines around Athens and other cities. Photo by Gerasimos Maniatis (b94-3339@amalia.ee.upatras.gr). 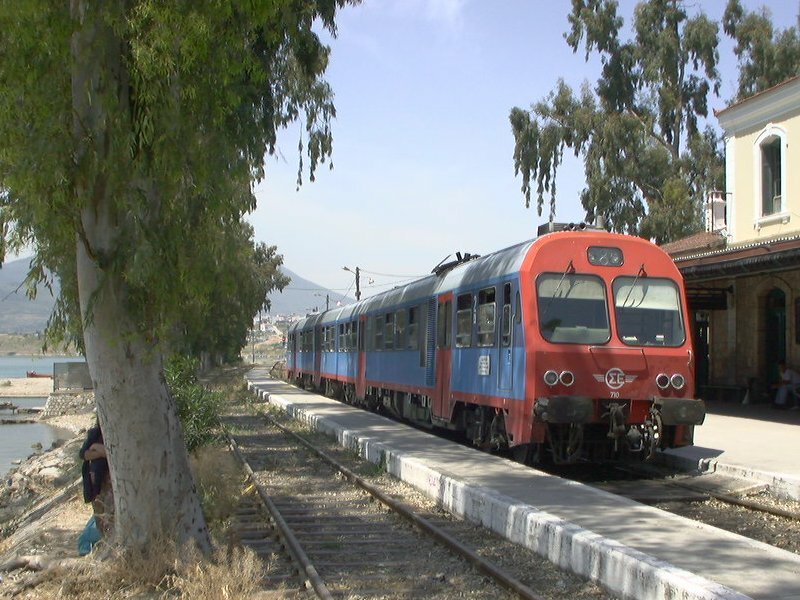 OSE 620 012 MAN built DMU, at Aghios Stefanos with a local from Chalkis, 21 February 2004. 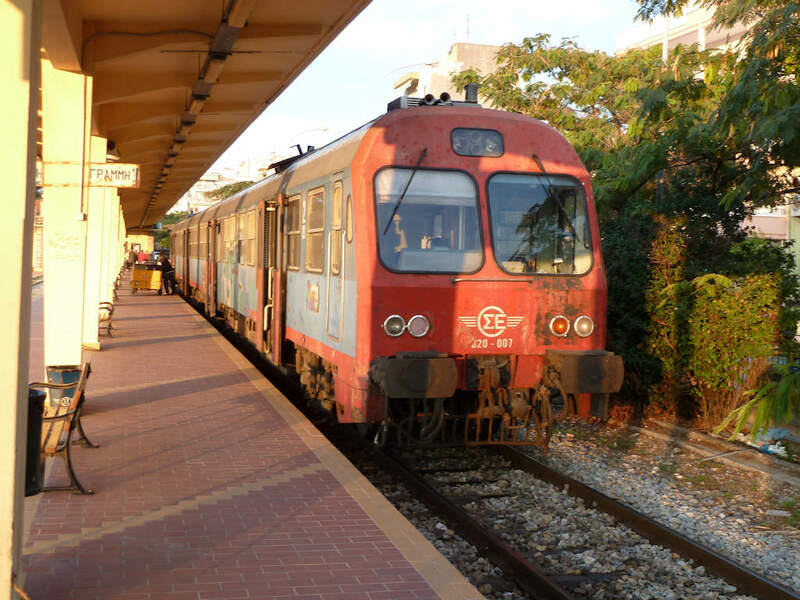 A regular sight until the end of 2003 in Athens, the venerable MAN DMUs served legions of passengers in the Attica region until being replaced by modern DMUs and loco-hauled trains. 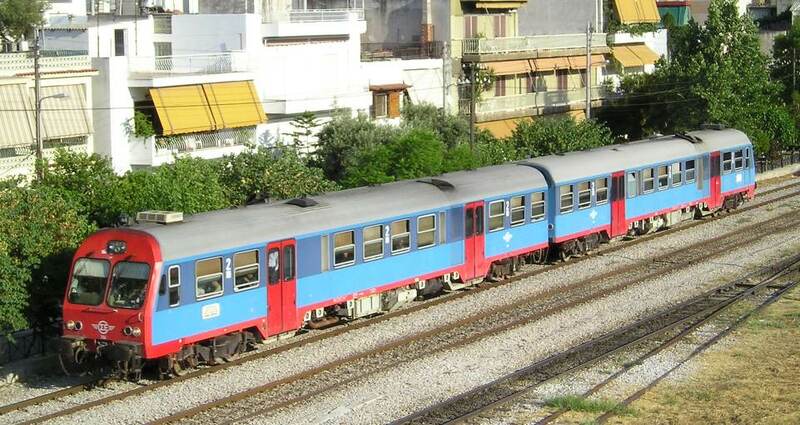 Today, one should travel up to Thessaloniki for seeing these DMUs working day-in, day-out in commuter traffic. 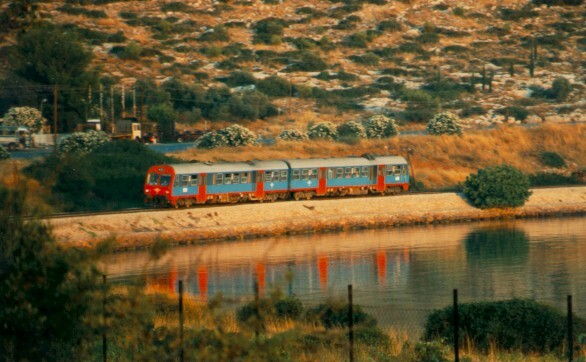 In this view, taken 5 September 2003, a MAN DMU accelerates from Athens towards Halkida. 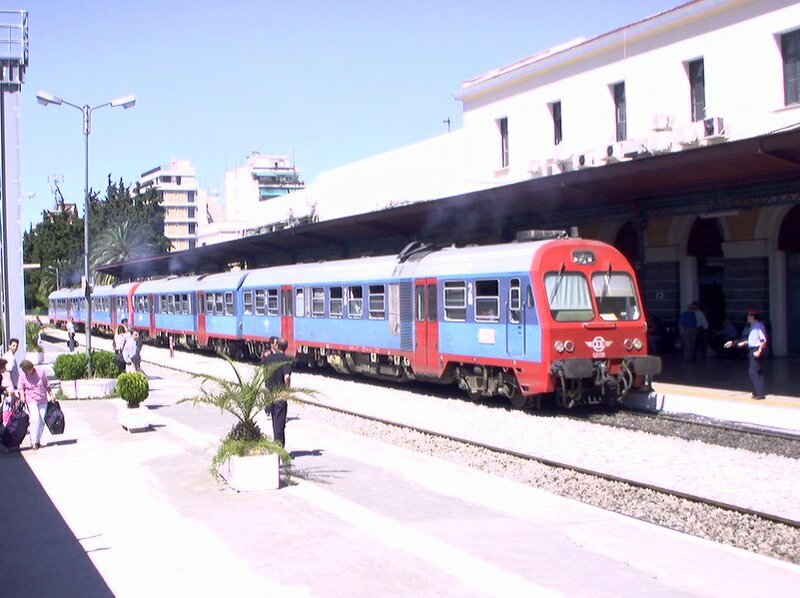 A MAN DMU accelerates from Athens towards Halkida. A different view, taken 5 September 2003. Digital photo shot with a Canon 300D and a Sigma 28-70/2.8 EX lens, passed a slight Unsharp Mask and cropped/resized. 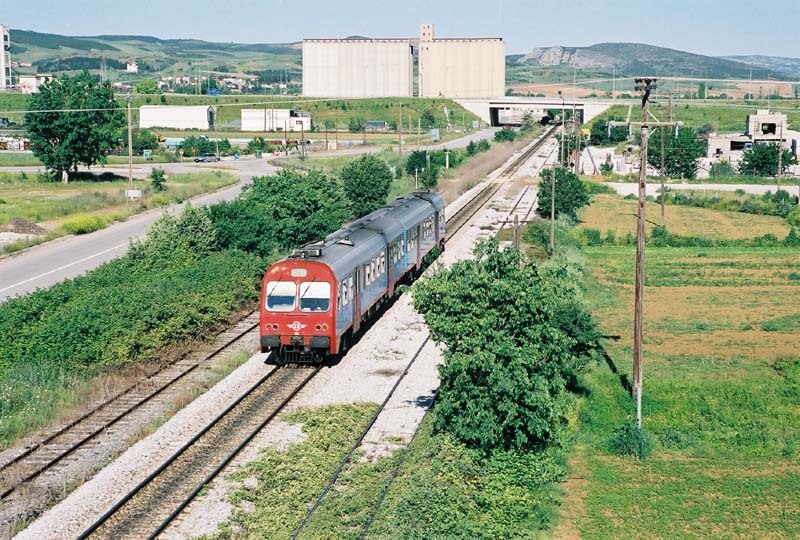 In a typical view, taken 9 July 2003, a MAN DMU accelerates from Athens towards Halkida. 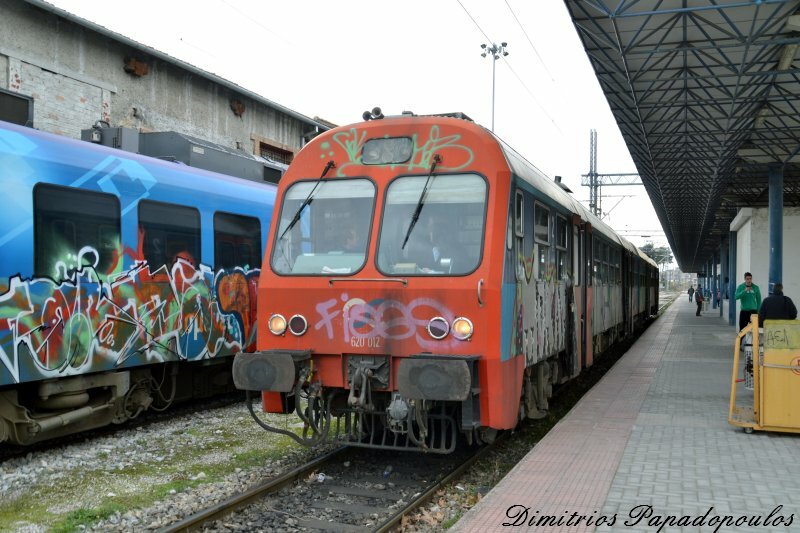 A MAN DMU, with lots of graffiti added from 'artists' is ready to depart Skydra station towards Thessaloniki. Image was rotated/cropped/resized, and an external flash was used in order to add some texture in the photo. 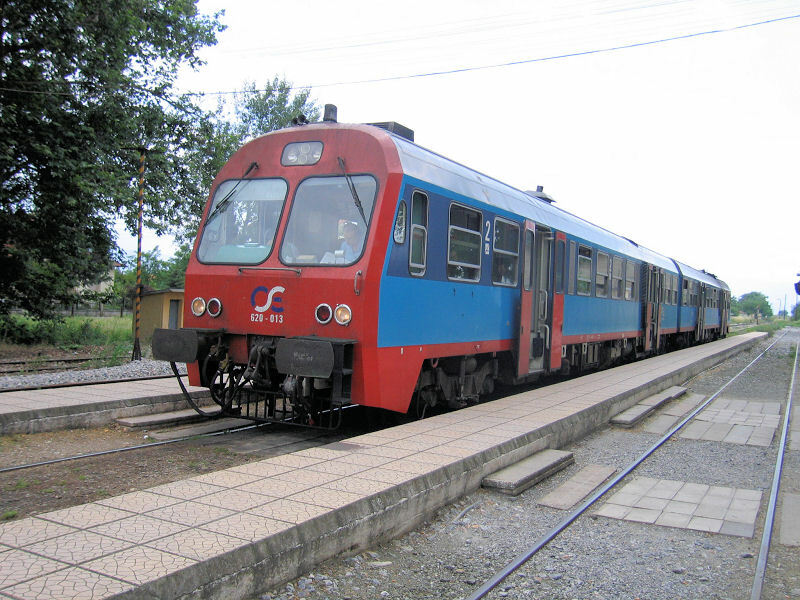 A MAN DMU enters Veroia station in Western Macedonia region of Greece, and it'll terminate at Skydra station. The view is from the tower of the level crossing guard, which is probably the only high enough viewpoint for a good overview of the rails in the whole region (which is reeally flat). 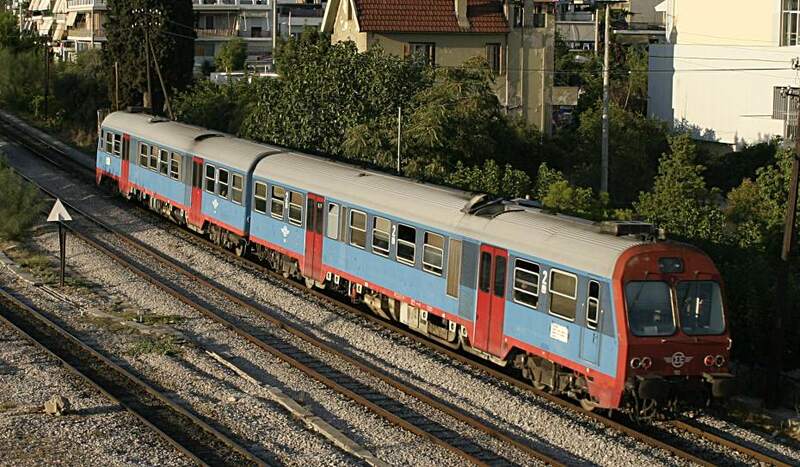 Class 700 DMU near Halkida, built by Hellenic Shipyards and used for local lines around the big cities.